When big pharma came a callin’, Tyler Marciniak found his niche. Now with the U.S. branch of powerhouse Astellas Pharma, Marciniak began as a team lead for Edelman with Pfizer,leading global corporate-level marketing for the firm’s healthcare services businesses unit. Two years ago Marciniak joined Astellas on its then-nascent corporate affairs team. Initially he directed oncology communications and advocacy, but now heads up product communications for Astellas’ entire U.S. business and lends communications guidance for the rest of the Americas. If that weren’t enough, Marciniak also keeps an eye on Astellas’ worldwide business — fostering global networks of colleagues to execute multiregional campaigns, including the company’s #pass4prostate and C3 Prize global thought leadership and corporate reputation initiative. Marciniak also helped Astellas form partnerships with USA Rugby, the Australia Rugby Union, the New Zealand All Blacks, and other teams for a global health education initiative to raise the firm’s visibility among key stakeholders and customers. As the exclusive healthcare sponsor of high-profile rugby matches, Astellas, along with advocacy organizations, is advancing awareness of men’s health issues using #pass4prostate. That campaign has earned millions of hits on social media. Combined with broadcast, in-game, and on-site activations, it increased awareness of Astellas and its commitment to prostate-cancer awareness. In 2015 Marciniak’s contributions were recognized with one of the highest honors awarded by Astellas’ Tokyo-based parent company, the One Astellas award for patient focus. 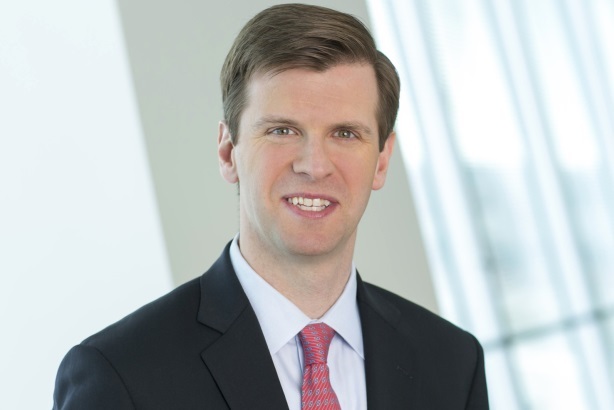 "Tyler’s commitment to excellence, creativity, and leadership has been instrumental in Astellas’ efforts to advance our corporate reputation and more effectively engage key stakeholders," says Jeff Winton, SVP of corporate affairs and chief communications officer at Astellas Americas. In support of Astellas’ commercial franchises, Marciniak’s efforts have contributed to double-digit growth in strategic communications activity, which resulted in an average annual increase in stakeholder reach of more than 60% over the past three years. - Marciniak currently is pursuing an MBA at Northwestern University’s Kellogg School. - He serves on the Drake University School of Journalism’s national advisory council. - He’s also a FAA-licensed private pilot.